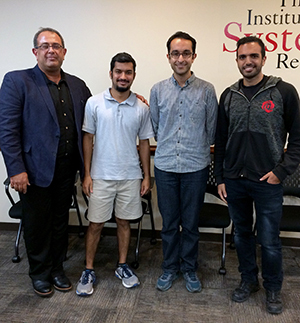 Three ISR graduate students are the recipient of a brand-new award—the ISR Graduate Student Travel Award. This award will be given every year to several deserving graduate students to help defray the travel costs of attending a conference to present their research. ISR is grateful to its generous alumni, faculty, staff and friends who have raised sufficient funding for the Institute to bestow the awards annually. Congratulations to Bhaskar, Hossein and Sayyed!